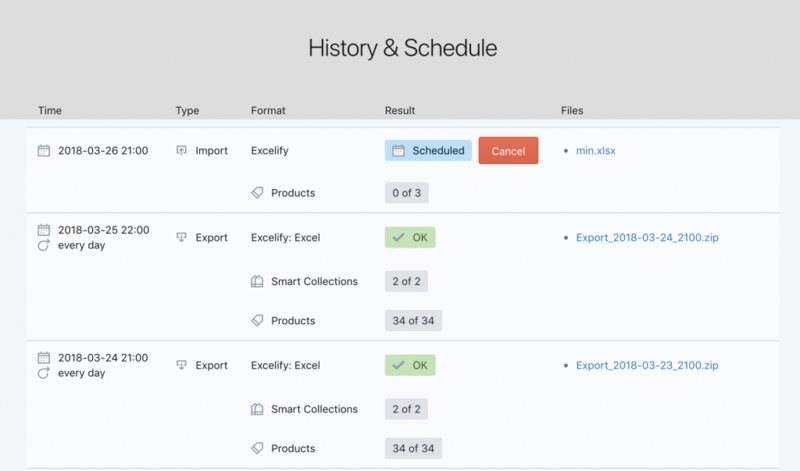 When clicking the “History & Schedule” button, you can see the whole history of your imports and exports, their statuses. You can also download all your historically imported and exported files. And you can cancel the scheduled jobs from there, too.